A cover story written for Faze, a youth-oriented print magazine with North American distribution. A profile of Dr. Diana Parry written for GUTS blog, a digital magazine focused on sharing pieces that "further feminist discourse, criticism, and community engagement in Canada." 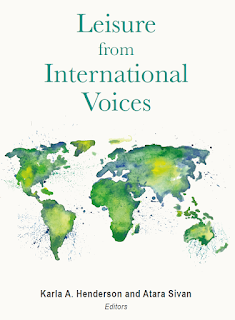 An excerpt from a co-authored chapter in the edited book, Leisure from International Voices.